and you don't want to spend a lot of money. But, let's face it, it's easier to buy something new, than to use your imagination to do something new. It's a trap, I tell you, and one that's all too easy to get into! 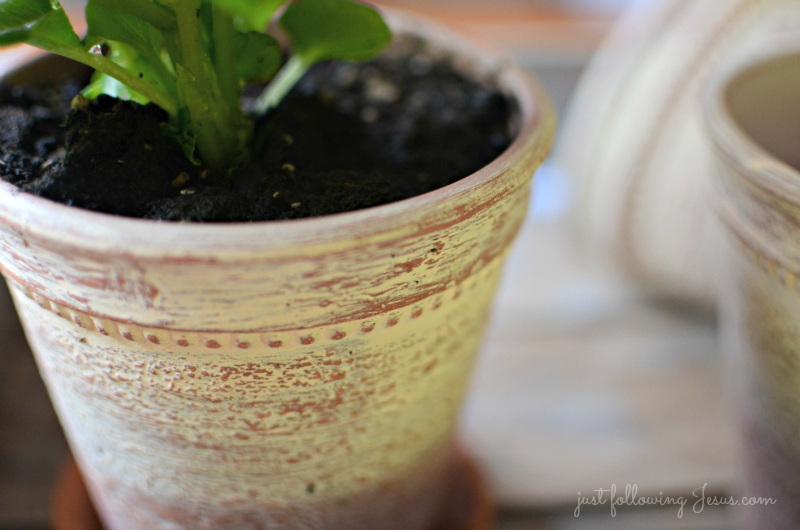 So, I have some of these whitewashed terra cotta pots that I got last year at the Dollar Tree. I think I scooped up 5 of them. I love the look and the detail, but most of all the price! 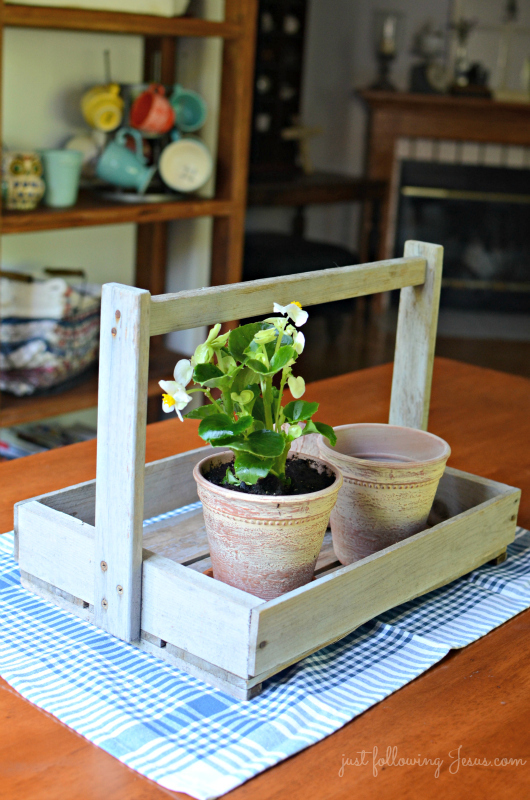 I moved my old berry tote that I was using to hold my homespun kitchen towels on my wooden shelf to the table and placed three of the terra cotta pots in it. I placed one of my homespun kitchen towels underneath the tote. Now all I needed was some flowers. so I bought one and planted it in one of the terra cotta pots. 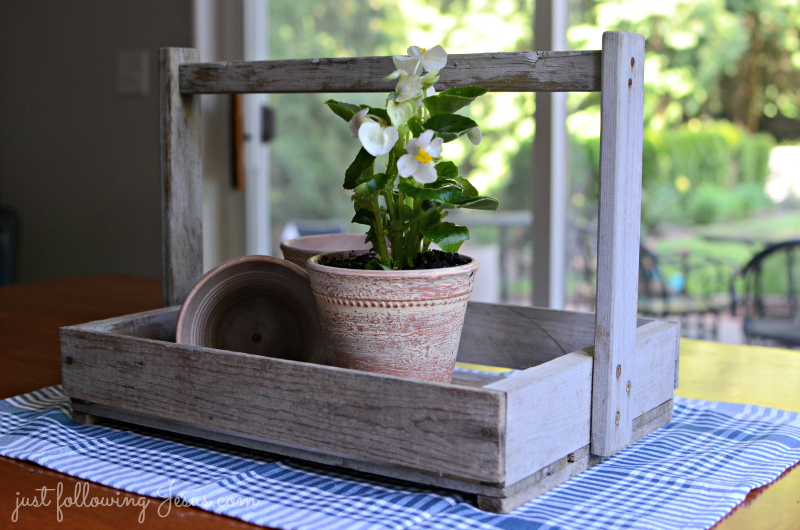 So simple, so cheap, so cheerful, so early June-ish! 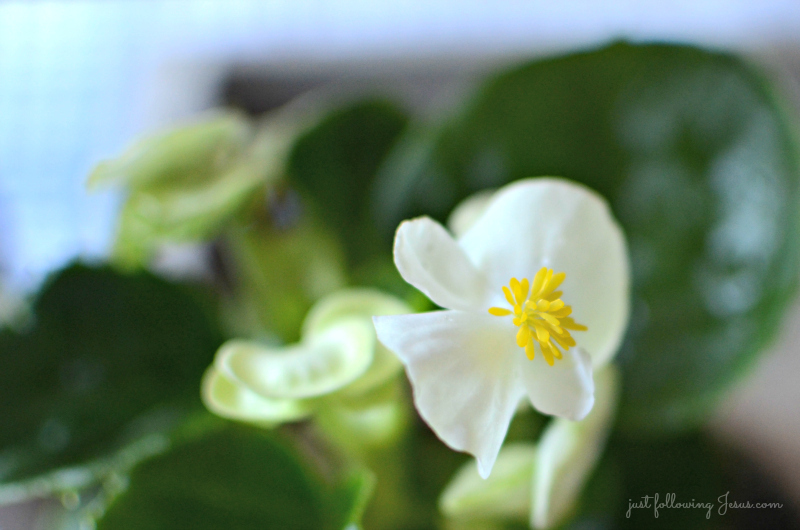 Beauty is so often simplicity. Love it, and love your shopping skills too! Thanks so much! I had fun hopping over to your blog and seeing Fairhope! So pretty!! 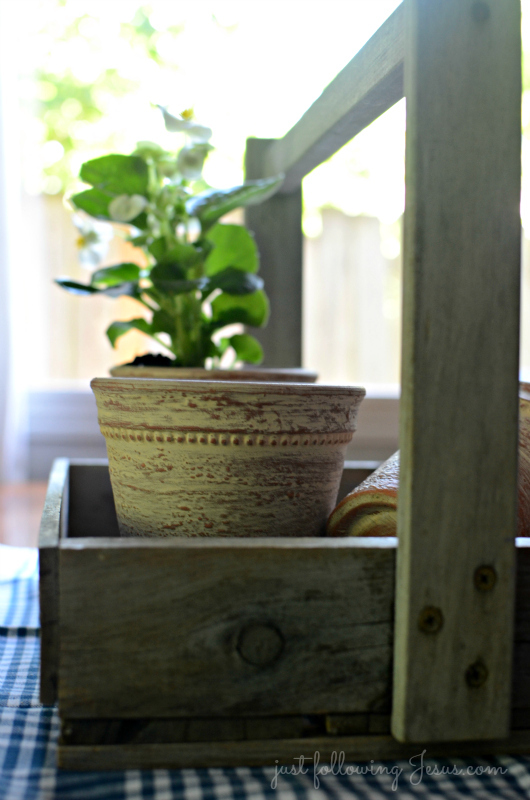 Love the terra cotta pots. Lovely...rearranging things we have with just a little newness is very satisfying! I hope your weekend is fab too! Have a great weekend, too, Carol! Love your idea. And your creativity! Beautiful! 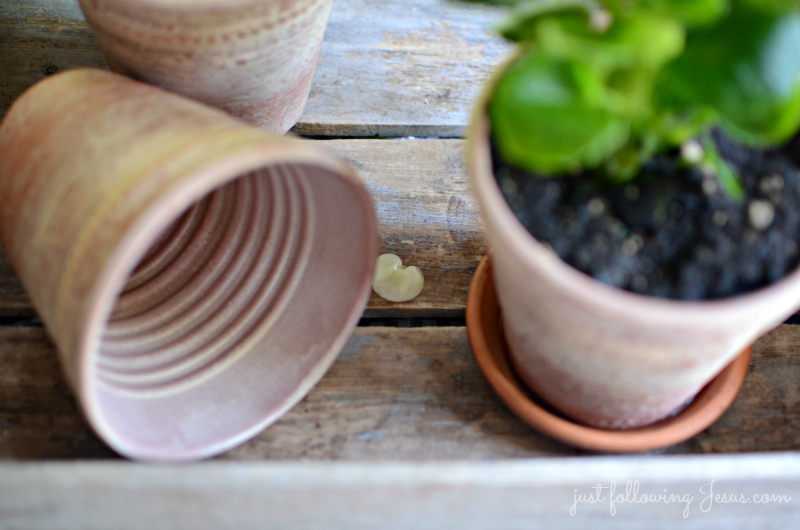 Lovely pots and the flower...always love flowers...Happy Friday :) Good to be here. Thanks for taking time to read and comment, Dolly! So simple - and perfect! 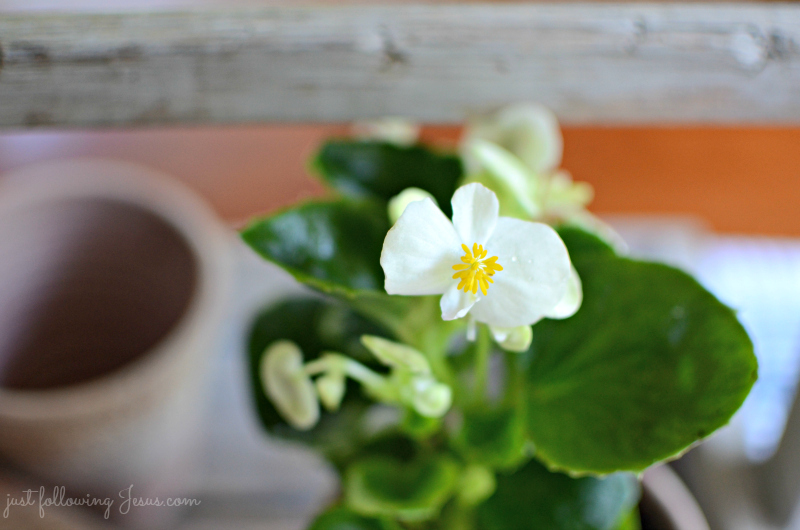 I have begonias struggling to fill up a hanging basket now; I can't wait for them to be lush and lovely! 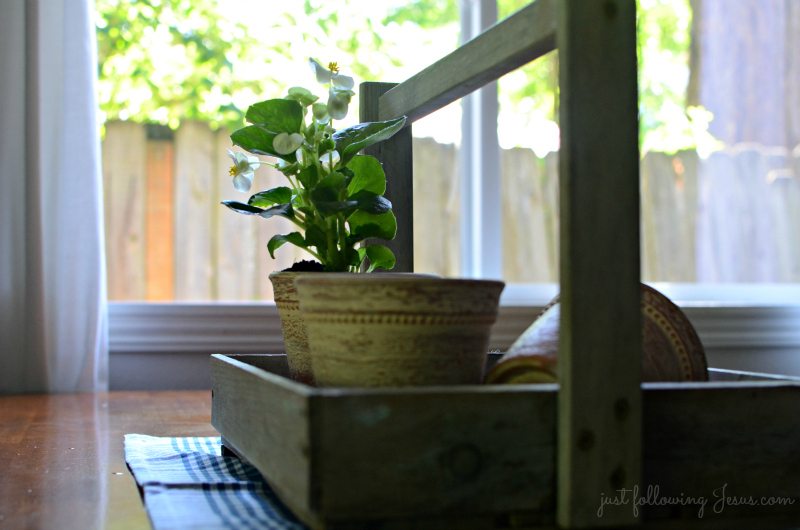 Simple pretty center piece--my favorite kind. Thanks, Ginger! 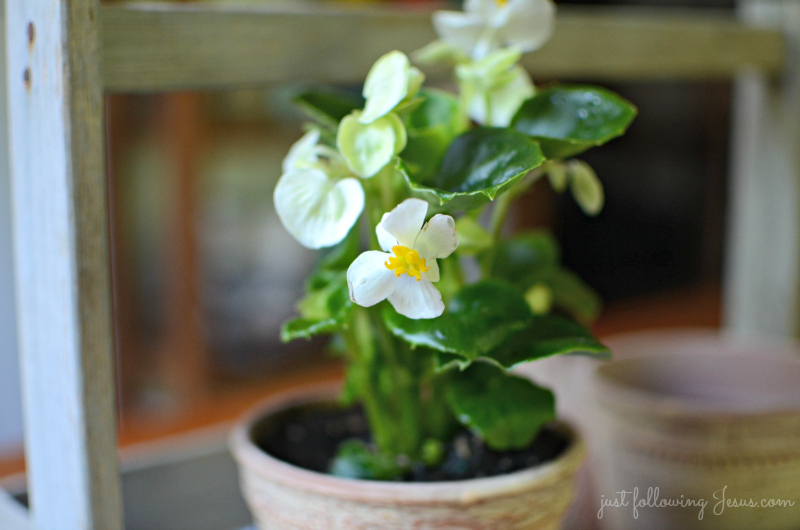 I've got a couple of begonias indoors in pots, but haven't grown any outside yet. It might be simple Elizabeth, but the whole look is perfectly sweet. 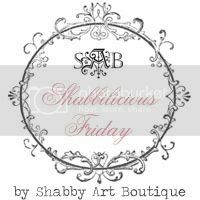 Thank you for linking up at Shabbilicious Friday.